The culture of sharing entertaining, brief videos on social media has in a short period of time introduced a number of genres never thought of before. The success of some, such as "unboxing" videos that let us share the experience of opening the package of desirable products, seem unexpected and bewildering at least to those of us who still remain in a 20th century mindset. The appeal of seeing cute animals, or people falling over, is perhaps more easily understandable, as they are connected to longer traditions in entertainment. Old or new, all of these genres however have an obvious common denominator: they are primarily meant to generate emotions. This is true also for the vast number of available videos and compilations showing the activation of cochlear implants (CI). Usually but not always featuring small children, these videos can easily be found by searching for "hearing for the first time". The conventions are remarkably strong for being such a new phenomenon: in a clinic, a deaf patient is brought in, a doctor asks them or their parents if they're ready, and then the CI is switched on. Someone speaks, and the deaf child or adult shows immense happiness: laughing or crying from joy. Ideally, of course, the speaker is the child's mother, and now we can witness how the toddler can hear her voice for the first time. It's a touching moment that compresses emotion-laden ideas about disability and gender, where hearing your mother's voice is not a matter of being efficiently reminded to wash your hands or do your homework, but a central part in bonding and love. It makes you a full human being. And because that's what it communicates, it also implies that deafness is a barrier to that experience. The videos also send a positivist message about the advancement of high-tech medicine, producing miracles, in a seemingly instant and clean manner. We do not see the blood, the drilling through the skull, the scars, or the tedious training program ahead in these videos. A doctor flips a switch, and normalcy is enabled. In many Western countries, as much as 90% or more of deaf infants are today equipped with CI. With this advanced hearing aid, and a large amount of special training, many of them grow up exclusively oral. This leaves the Deaf community with a pressing question: what will happen to them and their culture and language in the future? It looks like one of those great ironies of history: in the 1980's, the decade when activists were finally successful in their long struggle for the right to use Sign Language in schools, the first CI was developed. Will it undo what they achieved? Can anything be done to stop the development? A couple of decades on, it's clear that parents of deaf children aren't impressed with the arguments against CI. It's also clear that those who have a CI aren't necessarily lost to the Deaf community: many do learn to sign and end up identifying as Deaf. Nevertheless, it's inevitable that the Deaf community will change. Which brings me to Patrick. This teenager's story hasn't gone viral, but it does offer the viewer a rewarding emotional experience, very similar but also completely different from the CI activation videos. Patrick is deaf and lived for his entire childhood in linguistic isolation, only having a rudimentary system of home-sign to communicate with his father. In the video, we see Patrick going from near-apathy to joy and hope for the future when he gains access to Sign Language. He lives in Uganda, and in his case, a CI was never an option. This is often forgotten when we speak of the supposed CI revolution: it affects really only a small part of the world's population. It's an expensive intervention, not only the surgery and implant themselves but the intensive training needed for it to actually work in supporting communication makes it out of reach for people like Patrick. So the savior, here, is not a doctor, but a Deaf teacher. The unequal distribution, thus, of power and wealth resulting from the era of European colonialism, figures in the history of cochlear implants in unexpected ways. As with many high-tech products, the CI contains mineral components that are extracted in countries where people are too poor to benefit from the end product. Thus, the "miracle" videos of white, Western babies having their CI switched on literally contain pieces of a post-colonial economy. At the same time, contrasting these videos presents us with an intriguing vision for the future of a culture that has, too, suffered under it's own kind of colonial oppression. 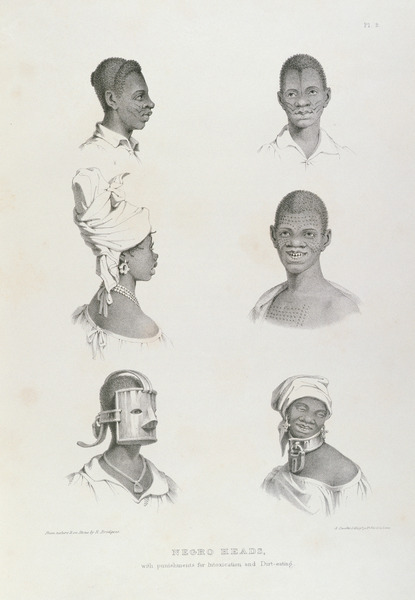 As we know, the views on colonized peoples and on the deaf share many historical connections and similarities, such as the idea of both as "men of nature" and "noble savages", the association of both with "racial inferiority", and often similar politics of suppressing minority languages and cultures. In a radical viewpoint, the CI is the latest in a succession of attempts by hearing people to assimilate or even eradicate Deaf people. But taking a global perspective, we recognize a young generation of people like Patrick who are embracing Sign Language and a Deaf identity. I don't believe that Deaf culture will disappear in the West, but it does seem likely that it's global future will be based elsewhere. Ylva Söderfeldt (2018): Post-colonialism and the future of Deaf culture: impressions from my YouTube playlist. In: Public Disability History 3 (2018) 2.